Haribo sweet boxes. A box full of Haribo gummies posted straight through your letterbox. Treat yourself to a box full of gummies or send as a gift. Simply change the delivery address to ensure it arrives as a gift. We'll take care of the rest. Free delivery with all our sweet boxes. Once you've ordered your box we'll pack it and send it within 3-4 working days. There is also a 1-2 day lead time to process your order. 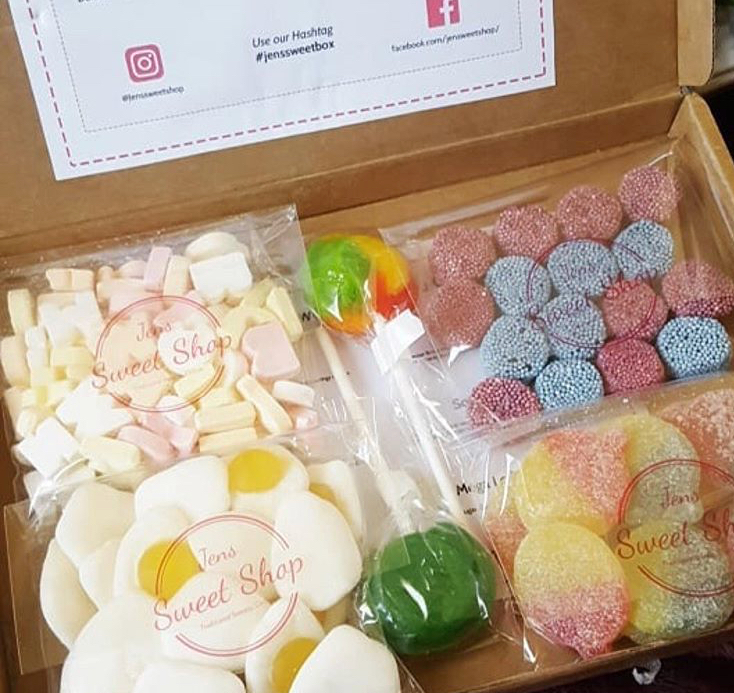 We're a family run sweet shop and we build your order as soon as it comes to us. 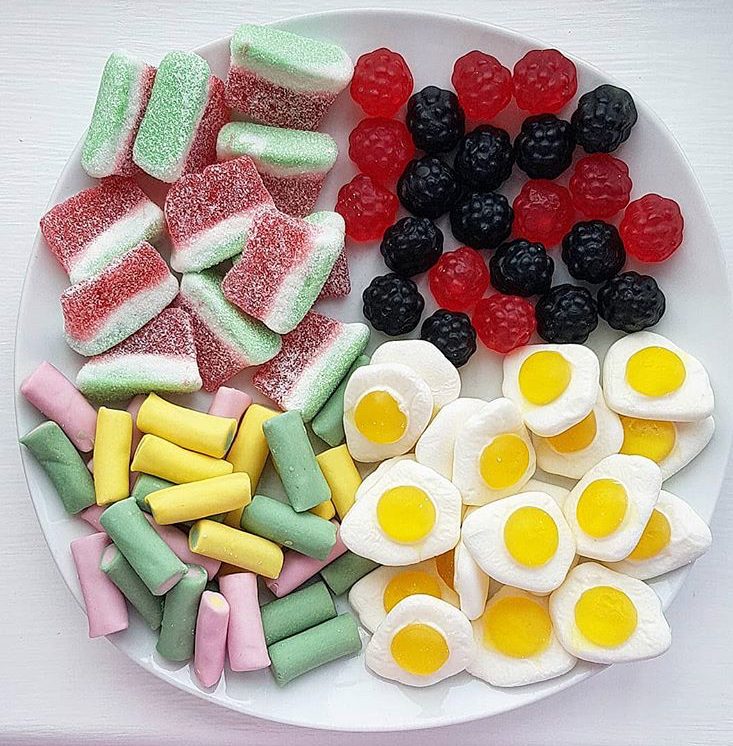 Whether you're after gummy, sour, chewy or American candy we a box for everyone. Our sweet boxes make the perfect gift for loved ones and friends. Have You Seen Our Subscription Boxes? A box of sweets through your door every 2 or 4 weeks. "Oooh Lordy... just what I needed, today's been a long one! Used another company for these sort of treat boxes for a while and after seeing the sheer value that @jenssweetshop offered I immediately signed up for her boxes instead! So happy it all looks lovely 😍 they even come with the names and ingredients of the sweets!!!" 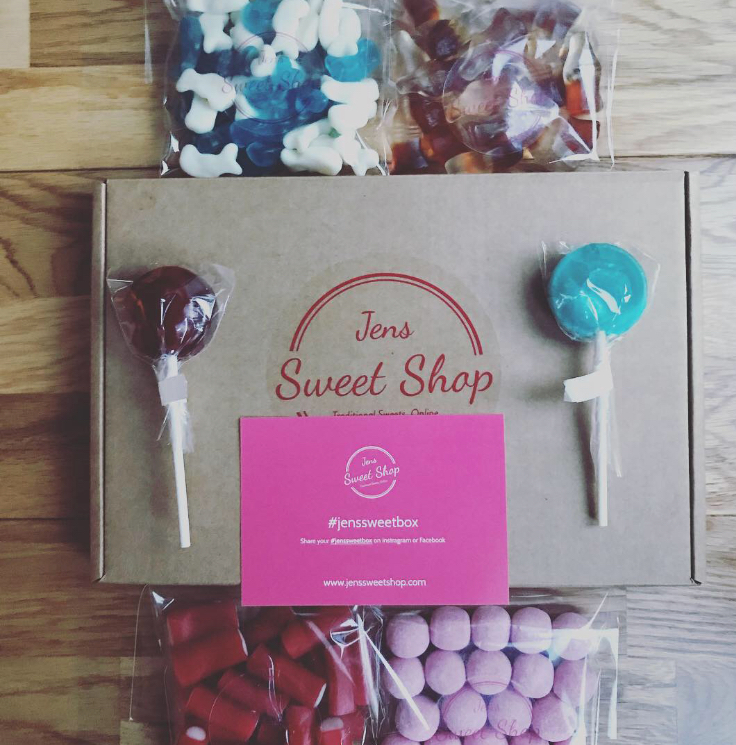 "Received this little box yday in the post THANK YOU @jenssweetshop 🍭I thought it was super cute & neat that they were all wrapped in little bags & it kept them extra fresh & gummy 👅 Extra bonus points for including all the ingredients which I find important for allergies etc... & the box smelt amazing!" "Well my day was made this morning when I received a @jenssweetshop box in the post! These boxes are similar to graze boxes...except for pick and mix!!! Have you ever heard of a better idea?🤤🤤You get four different types of sweets in each box, although I am defo making my way through this entire box today!"